One of the primary drivers for population growth an for triggering the EU Referendum is immigration, specifically EU immigration that many had concluded was out of control as membership of the European Union translates into the free movement of workers which has prevented the UK from controlling its borders for approaching 20 years now and has seen the UK buffeted by waves economic migrant flows from mostly Eastern Europe each year. All adding to those that came before with total immigration from the EU since 2000 having passed the 5 million mark by 2016. All whilst both Labour and then the Conservative governments promises to bring immigration under control having amounted to nothing more than empty promises, as parliament clearly has NO control over EU migration, which thus has continued well beyond the targets of tens of thousands per year. And thus the people of Britain on the 23rd of June 2016 chose to take back control of Britain's borders by voting to LEAVE the European Union which followed over a decade of EU migration putting added pressure each year on housing, jobs and social services such as schools, NHS and the benefits system, virtually all of which were at critical breaking points. 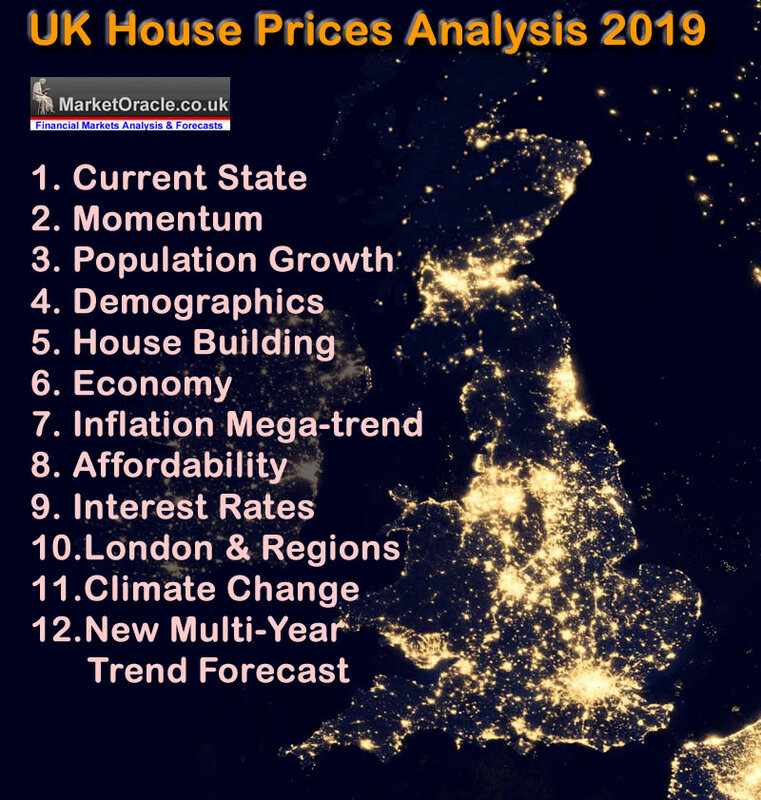 Therefore this in-depth analysis takes a detailed look at immigration to determine what transpired, and where immigration is likely to trend over the coming years and its impact on all aspects of british life including on the housing market. To best understand whether Britain actually has experienced an immigration crisis one needs to look at what the levels of immigration were BEFORE Tony Blair's Labour government came into power in 1997, soon opening up Britains' borders to migration from across eastern europe under the assumption that newly arrived migrants would tend to be more likely to vote Labour, the traditional political party for immigrants and thus seek to permanently improve the demographics in favour of the Labour party's electoral prospects.